"You were ALWAYS responsive to our communication - email, telephone or in person. You found answers for us and took personal responsibility in getting the information we needed. It is such a pleasure to work with a professional. You listened and heard and understood us very well." "The communication of every phase of this project was very clear and what you said would be accomplished was EXACTLY what was done! That's a rarity these days, and your service was impeccable!" "Your guidance and advice was so right. You answered all my questions and returned my calls in a very timely manner. You handled everything and kept me informed." "Honest, great listing advertising with photographs. PROFESSIONAL! Great real estate coaching style! Good Communication." "Worked your heart out for us, answered every question we had, helped with financing and were patient with all our anxiety attacks." "I was extremely pleased in every area. You were so helpful and pleasant during the entire transaction. I appreciated how you were always available to answer any questions and give advice." Lewiston, noted for its pristine scenery and exceptional quality of life, is one of the finest cities in Northern Idaho. Home to great schools, abundant parkland and beautiful homes, it stands out as one of the top real estate options in the region and an ideal place for young professionals, retirees and families seeking affordable property in a scenic location. 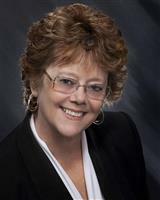 Lewiston Idaho real estate is prized for its top quality and affordable prices. Lewiston’s property market boasts low interest rates as well as rising home values and a reputation for stability and growth. Home options in this city include single-family homes, duplexes, historic homes, townhouses and other superb choices. Recent college grads will find plenty of starter homes available at great prices while retirees will find a bevy of one-storey homes and smaller homes available at competitive interest rates. Whatever type of home you’re looking for, Lewiston Idaho real estate has plenty of affordable options. The city of Lewiston also offers a high quality of life marked by a miniscule crime rate, bucolic scenery and vibrant shopping, dining, nightlife and cultural scenes. The city boasts great schools as well as the acclaimed Lewis-Clark State College, not to mention a robust economy and a low cost of living. Attractions and activities in this livable city include the Dogwood Festival, Prospect Park, the Show and Shine classic car show and much more to discover. Clarkston, located just across the scenic Snake River from Lewiston, also offers plenty of superb real estate options to explore. Boasting beautiful scenery and high livability, it stands out as a great place for young professionals, retirees, families with young children and just about everyone else in between. Clarkston WA real estate offers an enticing mix of superb location, quality and value that is very hard to beat nowadays. Homes for sale in Clarkston offer spectacular views and come in a wealth of choices such as townhouses, single-family homes, multifamily homes and starter homes perfect for young professionals looking for their first house. Clarkston WA real estate boasts strong value, modest prices and convenient access to nearby Lewiston and its bevy of shops, nightlife spots, restaurants, galleries and parks. Clarkston offers a desirable location, a multitude of restaurants and shops and a low crime rate, making it an exceptionally livable city. It also sports great schools like Walla Walla Community College, a robust economy anchored by education and trade and easy access to the region’s wealth of parks, protected areas, golf courses and outdoor activities. Excellent fishing can be found in the Snake and Clearwater River while hiking, biking and camping can all be done with ease in the Clarkston area as well.